Also called Norway lobster and often called scampi (Nephrops norvegicus). 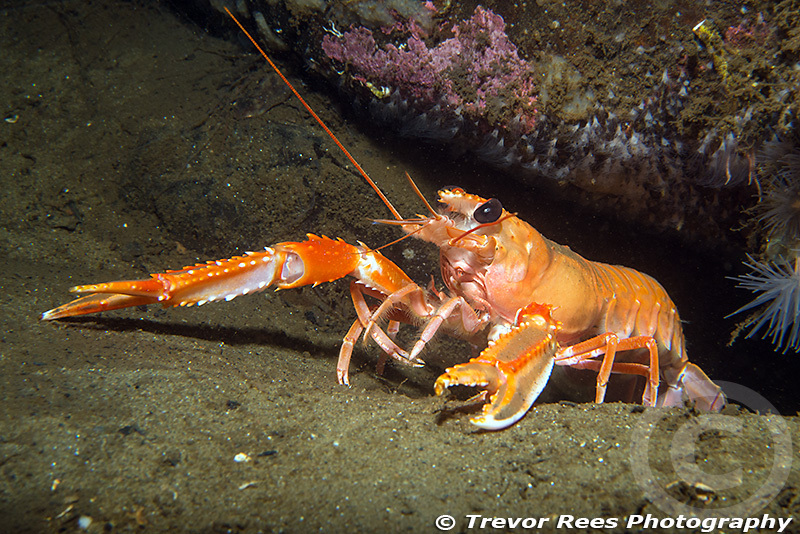 This crustacean was photographed at Drishaig reef, Loch Fyne, as it briefly emerged from its burrow. They are attractive, bright orange creatures, that many divers may only have seen dead on a restaurant dinner plate. They can be see seen hiding in muddy holes on the slopes of many Scottish sea lochs - often at rather deep and dark depths. This one was only in about 15 metre depth with its a burrow just below a rock.